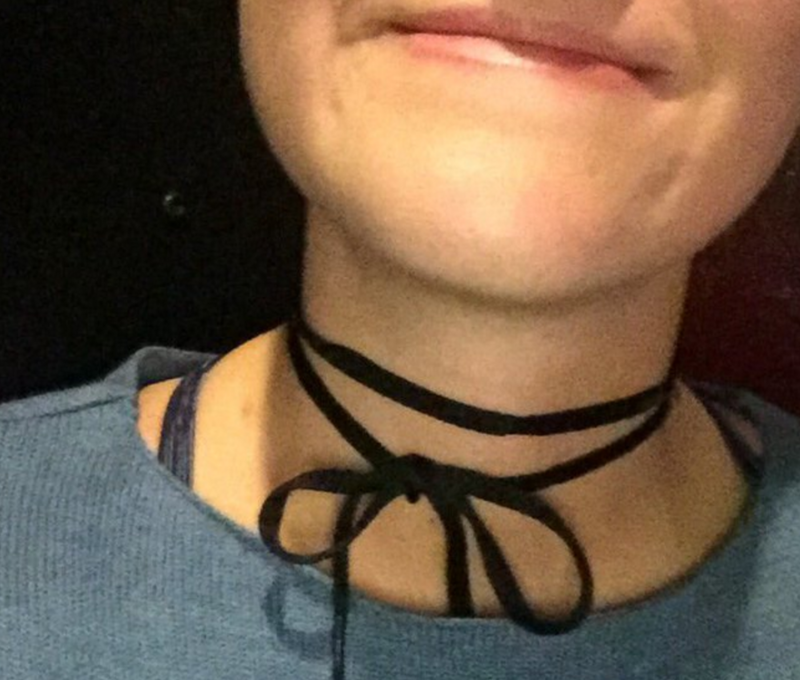 So it appears one of our beloved ’90s trends — aka the choker necklace — has made a comeback in a really unique way. When trendsetter and college student Katie Rosebrook wanted to rock a fresh look for barhopping last Saturday night, she decided to DIY a chic black choker. And she did that by taking a black Nike shoelace and wrapped it multiple times around her neck. Of course now the internet has all kinds of feelings about it. Most of the commenters were totally supportive, if not on board with the whole shoelace thing themselves. Some either proclaimed to try the style out for themselves or already have, posting pictures as proof. By the overwhelming amount of positive comments, the verdict is in and it’s pretty clear if you’re into wearing choker necklaces, you may as well save yourself the money and snag a lace from your shoe. It looks similar enough while being a stand-out all at once. Props to Katie for taking the fashion world by storm, however accidental! Keep doing you, girl!